Actually been back in Tucson nearly a month now. Candy had gotten a bladder infection, and the folks needed a house sitter, so I decided to head to the desert a few weeks early, and I am glad to report Candy's infection is gone, and all six of the critters I was responsible for are alive and well. Now, that I have very briefly summed up my whereabouts about the past 3 weeks. I am currently staying at my favorite Casino here in Tucson. Which is always a welcomed change of pace, after spending the last 7 1/2 months in the forest. 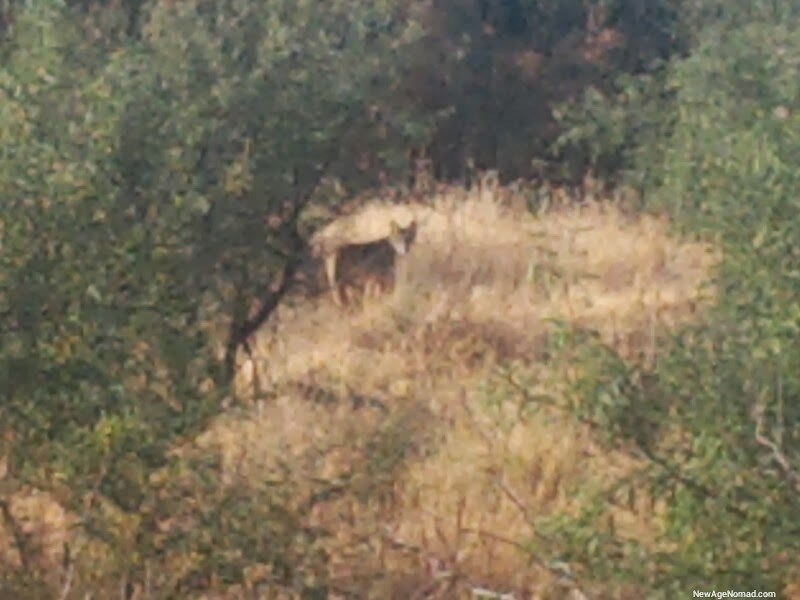 Coyotes seen on Candys morning hikes. Of course they only come out when the good cameras at home. Honorable mention Flash the desert tortoise was one of the six critters I was responsible while I was house sitting, and definitely the lowest maintenance. He's about as laid back as one can get! The only road runners we saw last winter were either too far to get a good look or showing us their tail as they ran from us. My favorite Casino stay as well. Glad Candy is all better! You are living the dream, my friend. Thanks for sharing. Hi! Im new to the van dwelling (2-wks) but have only stayed at different Wal-marts here and there. Im in Indiana right now but was looking for an idea or a place to go warmer. Whats the desert like? Do you just park anywhere? Is there a network of others at the same place? I have finances to go where-ever & a great vehicle but no sense of direction. Any advise? I heard of a place called "Slab City in Niland" as well as "Salvation Mountain". Looks rough on the internet but probably ok. Have you ever been there? What other sites are there to see this time of year where its warm? PS, Ive never been outside of Indiana. Just retired. Yep the desert is basically wide open theres millions of spots to go park and stay awhile. Southwestern Az and Southern California is probably the most popular during the winter months. Been to Slab City and salvation mountain you should be able to type it in the search box at the top of the screen have a boat load a pics overall I felt safe there was a lot of good people. I was leaning more toward Florida but when I checked the Wal-mart lists they dont like over-nighters. Then again Im in a van, not an RV. Maybe you dont ask but rather just park. I dont know. I would hate for security to wake me up. The up north Wal-marts dont care but I guess in tourists towns they do care. My guess is Florida is more strict and a a lot less welcoming then out west, but never been there so I really don't know. Be interesting to know what you find out. Good luck! Are you still at the Casino? I live about a mile from there. As a matter of fact I went there to get gas and pulled back out when I saw the price. Went to the Circle K instead. Happy Candy is doing well. Yep still here should be here on and off all winter. I had the same thoughts of filling up at the Casino but was almost 30 cents higher so I held off as well. Hey! Remember me? The 'other' cat lady. Kathy! This looks like a peaceful and beautiful place to live in. I bet it's quiet at night. You're lookin' good kido. I'll keep track of you now that I can do this. Take care and lock your doors at night! I don't want the boogie man to get ya!